Many natural supplements, including antioxidant supplements and herbal medicine, have been shown in various scientific studies to help reduce the side effects of chemotherapy and radiotherapy. Many antioxidants have also be proposed to have powerful anti-cancer properties. According to many scientific papers, some herbal medicines, vitamins and antioxidants can inhibit the cytotoxic effect of chemotherapy drugs which is detrimental to the treatment outcome. Others can enhance their cytotoxic effect (such as vitamin E and biobran) and therefore are beneficial during chemotherapy treatment. This subject is complex because there are so many antioxidants and so many chemotherapy drugs, and the full nature of all the interactions is unknown. Some of the interactions are due to the effect of supplements on the liver detoxification pathways. So if you are intending to take vitamins and antioxidants along with pharmaceutical treatment for cancer, it is very important to do further research and/or ask a nutritional or naturopath specialist who has extensive knowledge of the potential interactions. It is also very important to understand supplements available at the chemist, pharmacy or even supermarket are often poor quality. The ingredients and excipients vary considerably, so it is important to get high quality vitamins, herbal medicines and antioxidants. It is also important to consider natural medicines which have been extracted or prepared in such a way as to maximise their bio-availability and those which are absorb in greater quantities. If a patient takes a poor quality product it is most likely poorly absorbed and excreted with little benefit to the body or effect on the cancer. Herbal medicine is the oldest and still the most widely used system of medicine in the world today. It is an effective and natural way in assisting the body’s own healing capacity and promoting optimal health and well-being. Herbal medicines contain thousands of naturally occurring chemical constituents. Many of these constituents have been studied by pharmaceutical companies in order to isolate and replicate them for their medicinal effects. Herbalism is a term to describe the use of whole plant medicine without extracting individual constituents but aiming to support holistic treatment. Most herbal medicines can be used safely within therapeutic dosage ranges without the danger of the inherent side effects common in drug-based medication. Plants usually have other constituents in them to encourage the body to vomit before a toxic level can be reached. An increasing number of studies have demonstrated that vitamin D is involved in the body’s natural protection against cancer. Vitamin D has been shown in multiple populations studies that individuals with various forms of cancer are found to have deficient levels of Vitamin D.
Vitamin D is found in a number of food substances, and is produced naturally in the skin in response to sunlight. Often people work in an office or indoors and rarely go outside during the day to get sunlight exposure. Furthermore correct metabolism and storage is dependant upon an idividuals digestive health and liver function. by enzymes from the shiitake mushroom. There are a number of studies that have shown Biobran to boost the immune system in cancer patients by increasing the activity of natural killer (NK) cells and other lymphocytes (B- and T-cells). These cells are important in cancer because they can identify and destroy cancer cells. The main researcher studying BioBran MGN-3 has been Dr. Mamdooh Ghoneum at the Charles Drew University, Los Angeles. The product has been produced by Diawa Pharmaceutical in Tokyo, a small company committed to the development of natural products. BioBran MGN-3 was first developed in 1992 by Hiroaki Maeda, director of research and development at Daiwa Pharmaceutical in Tokyo, a small company directed by Yasuo Ninomiya, and committed to the development of phytonutrient solutions to health and agricultural problems. Maeda later worked on further development of the product with Mamdooh Ghoneum PhD, professor of immunology at the Charles Drew University of Medicine and Science in Los Angeles. Green tea contains a number of substances known as polyphenols and one type known as catechins. Catechins in green tea can be further identified as gallocatechin, epicatechin, epigallocatechin, epicatechin gallate, and epigallocatechin gallate and are often referred to as EGCG. EGCG compounds have been shown to possess anti-cancer properties, and to be useful cancer preventative agents. Over 100 studies of EGCG were published in 2005 alone. Green tea is known for its powerful antioxidative properties but the positive effects are believed to be much greater. It is also thought to inhibit the action of carcinogens, stimulate the natural death (apoptosis) of cancer cells, inhibit the signalling that switches on cancer genes, regulate immune and inflammatory responses, and inhibit production of the VEGFs (vascular endothelial growth factors) required for the growth of blood vessels to developing tumours. Green tea is widely consumed in China and Japan, where a number of epidemiological studies have concluded that its consumption results in a significantly reduced risk of cancer. Various studies show supporting evidence for the anti-cancer properties of green tea. One study of breast cancer analysed women with stage I or II breast cancer 6 years after diagnosis. The study showed that those who drank five or more cups of green tea a day slashed their risk of recurrence almost in half. As a cancer-fighting substance, far larger quantities of the active catechins are required than can be consumed by drinking a few cups of green tea per day. Green tea extracts are the most commonly prescribed alternative in cancer treatment. It is important to note the quality of such extracts can vary considerably, and it is advisable to source an extract in which the concentration of catechins/polyphenols (especially EGCG), is standardised and manufactured to strict australian TGA standards. Milk thistle (Silybum marianum) is a well known liver support and effect on detoxification pathways in the liver. It can also be used before or after chemotherapy as a liver protecting treatment. Research also suggests that milk thistle inhibits the proliferation of cancer cells. The active substance in milk thistle, silymarin, is a mixture of flavinoids, primarily consisting of 4 isomers: silibinin (also known as silybinin), isosilybinin (also known as isosilibinin), silychristin (also known as silichristin), and silydianin (also known as silidianin). Silymarin functions as a potent antioxidant, stimulates detoxification pathways, stimulates regeneration of liver tissue, inhibits the growth of certain cancer cell lines and may increase the efficacy of certain chemotherapy agents. It is important to consider dosage, timing and quality of herbal medicines. For this reason, it is recommended to consult a professional when considering using this and other herbal medicines. Spirulina and chlorella are blue-green algae, commercially grown and used in dried, powdered form as high quality nutritional supplements. They are high in all the essential amino acids, beta-carotene, chlorophyll, and a range of other nutrients. Very little research has been conducted into their use in cancer. Spirulina has been shown to stimulate the immune system and provide protection against oral cancer among chewers of tobacco. In animal studies, chlorella has demonstrated antitumor and antimetastatic properties. It has also shown positive indications of immuno-boosting, as well as protection against the negative effects of radiotherapy and chemotherapy. This could be contributed to the high anti-oxidant properties of spirulina and chlorella. Spirulina and cholrella are sometimes used in heavy metal removal and therefore assisting with the correction of nutritional deficiencies. Shannon has over 9 years of university education in science and health. He is a lecturer in nutritional medicine, naturopathic philosophy and author in a variety of health topics, including cancer and men’s health. 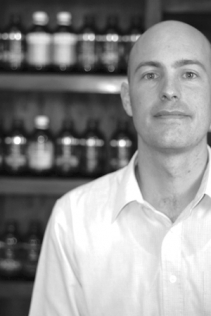 He graduated from Southern School of Natural Therapies in Fitzroy, Victoria with a bachelors degree in Health Science. The school is considered the leader in education for Naturopaths in Australia. He also has a bachelor of science from Curtin University in Perth, WA. Contact the clinic to speak with a naturopath or to make an appointment.